06 Şubat 2019 Çarşamba 08:03 - 3 reads. they look like rice noodles, four to six inches long, with tiny black eyes and a Mini heart, the throbbing, when you look at them up close. These fine, glassy essence, these babies are the eels that swim in our rivers and lakes, are today for crime bosses and gangs of Smugglers valuable as drugs and weapons. The glass eels, as these young fish are called, are smuggled by the hundreds of thousands, millions even, from Europe to Asia, because they are, as adults, fish are a delicacy. Because a Kilo of Mini-fish that is later on, when they are fully grown, a Million francs in value. Because they generate higher margins than cocaine. investigations show that, in this business, organised crime is at work. So far, it ran in France, Spain and Portugal, but since the beginning of the year, prosecutors learned that gangs also have a route to Germany and Switzerland on their Smuggling. 11. January Swiss customs investigators seized at Zurich airport with three bags with 200'000 glass eels, which were noticed at the security check. 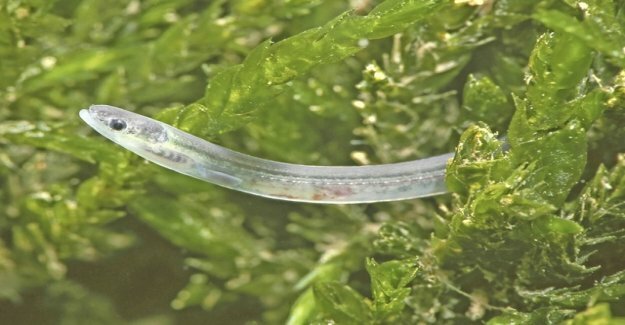 The Baby eels swam in plastic bags, half filled with water and with oxygen-supersaturated, cooled by ice in PET bottles. The bags were shielded with thermal blankets and in a hard-shell suitcase has been Packed. The customs officials arrested two persons who sit in pretrial detention. Further investigation led eight days later to the arrest of smugglers at the airport in Geneva. The criminal seized the tracker six suitcases, with also 200'000 glass eels. Currently, seven people are sitting in Geneva. According to the Swiss Federal customs administration is no single culprit, it is: "We go on the basis of the present calculation results and the information of foreign partner authorities, to organized gangs, which are controlled from abroad." Notes on organized crime would be available to the extent that the division of labour and separate channels of communication were apparent. The organized smuggling of Baby eels began in 2010 with a Sushi crisis in Asia. The glass eels, which are grown in Chinese farms to adult fish, were scarce. The supply in China, Japan or Thailand popular fish was not secured. At the same time, the European Union explained the glass eel to the endangered species. He has since been protected as well, such as, for example, an African elephant. The babies can be caught in all of Europe, only to be elsewhere exposed. But not for the Export from the EU or for consumption. This was in Asia, the glass eel prices explode. Gangs organised on smuggling routes, and sent couriers. "We assume that per year between 300 and 350 million glass eels from Europe or America to Asia are smuggled," said Andrew Kerr, head of the Sustainable Eel Group (SEG) in Brussels, an organization that is partly supported by the EU, part of fisheries associations, and partly from donations. SEG fights against the extinction of eels, and against smuggling. "at First you think it's slimy, disgusting critters," says Kerr, "but if you know more about them, you will see that there are fascinating creatures that are more traveled than any other animal." what is the origin of the smuggled animals? The eels back in your life up to a total of 5000 kilometers. They spawn in the Sargasso sea in the Atlantic ocean East of Florida. From there, the larvae drifting during almost two years in the direction of Europe, to transform into glass eels reach the estuaries of France or North of Spain. From there you should swim the rivers are high, some years in the waters grow, and then again in the Atlantic ocean for Spawning return. But a large number, million, make it high, not even a few Hundred meters of the mouth of the river. They are fished in France, Spain, Portugal, and with nets captured. It is still unclear who will take you for smuggling out of the water. There are in these estuaries regular, registered fishing facilities. However, they should only sell if they are exposed to in European waters. The question now is whether the smugglers buy the eels from local fishermen or your own catch of the facilities. "I want to say no one suspects unaudited," Frank Hartmann of the fisheries authority of the regional Council of Karlsruhe in Germany. "The investigation will show how the fish came to the smugglers." After Zurich and Geneva, it was also in Stuttgart a few days ago to arrests at the airport. The German prosecutors had received a tip-off. They encountered four cases, in each of the bags were Aalen with 12 kg of Glass, each animal of about 0.3 grams, a total of about 170'000. The two couriers were arrested. Are Baby eels ensured even by the inch, it needs to go quickly. "The animals can't even survive well Packed for a lot longer than two days," explains Hartmann. As in the Swiss cases, the smugglers had drove the Baby fish by car from southern Europe. So you were already a considerable amount of time on the road. "When we opened the suitcase we were relieved. The animals were in very good condition. Tip-top," says the fisheries specialist. Within ten hours, the animals had been exposed to in the river Rhine. Also, the glass eels in Zurich have been released, "in local waters," as the Swiss Federal customs administration said. The Geneva Mini-eels are still waiting on the suspension. It is the first festival in Germany and in Switzerland. This suggests that the smugglers change routes. "You can choose other departure places, because investigators areas in the fishing on the Atlantic ocean, the pressure is greatly increased," says Andrew Kerr of SEG. prosecutors in France, Spain and Portugal, coordinate investigations and have turned to Interpol. In March 2018, a big strike against a smuggling ring managed. The Spaniards arrested six Chinese, three Spaniards and three Moroccans. Prosecutors found 460 kilograms of glass eels. "There have been seized in this action 364 suitcase," says Kerr. According to prosecutors, the adult eels from this action alone have a market value equivalent to 450 million francs. have created gangs, The Smuggler, a sophisticated transport chain, says Kerr. The eels stored initially in the temporary distribution. From there, the smugglers filled them in sacks and store them in the suitcases. The couriers picked up one or more bags and tried to get then on a European airfield to Asia. Only the investigators are increasingly in the way. Information from Switzerland have led this week to further arrests in Germany.